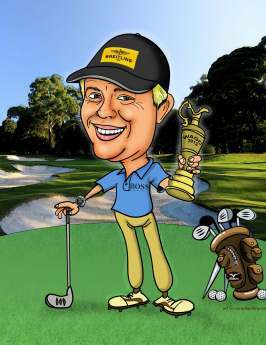 Agift for a golfer that is better than a bucket of balls, a golfing caricature is the ideal golfing gift! 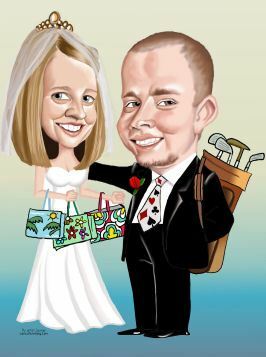 Imortalizing a person's love of golf in an original caricature artwork drawn from photos is a gift they will treasure for years and be the envy of their golfing buddies. 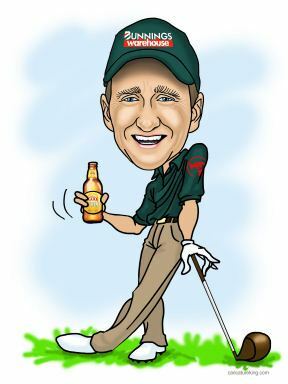 We will create a totally unique artwork, posing them however you wish, in whatever setting. 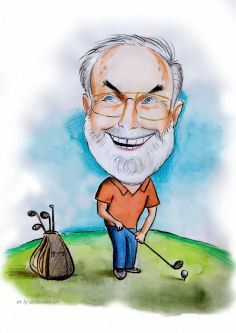 Have they ever wanted to play a famous course? 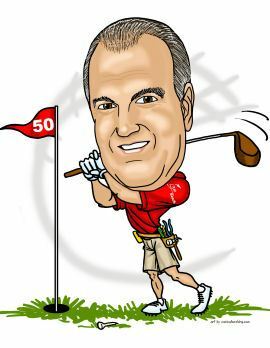 Now thay can! 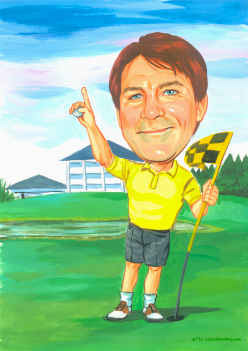 We can create a background of any famous golfing course, just like they are there. 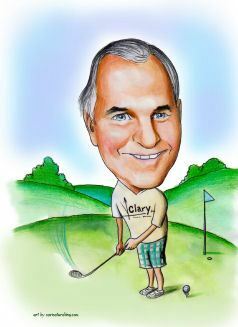 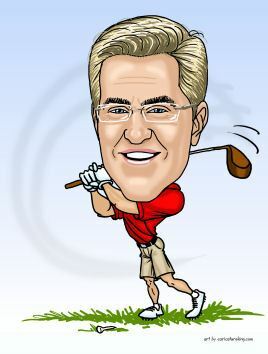 As many golfers also like other sports, we can also incorporate that into the golfing caricature. 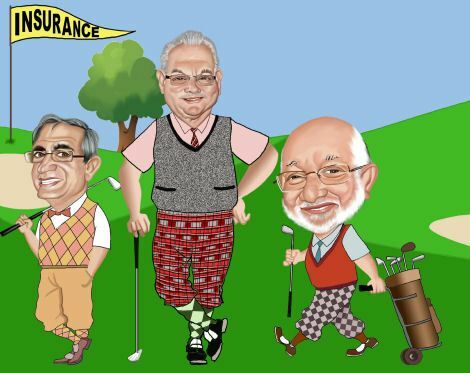 As our samples show, they can be wearing a sporting team jersy if required. 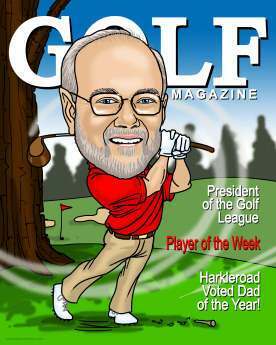 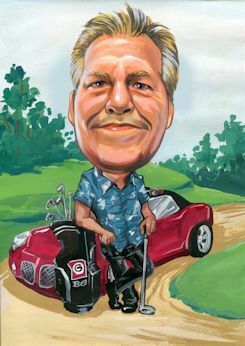 It does not matter if the subject of the caricature walking the green, teeing off, or going for that amazing putt, we can create an amazing artwork for you! 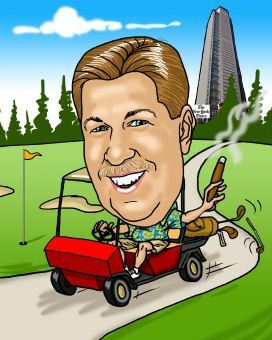 No matter if the gift is for a birthday, retirement gift or some other occassion, a caricature custom drawn from your supplied photos and easily ordered online on the order pages will be a welcomed gift. 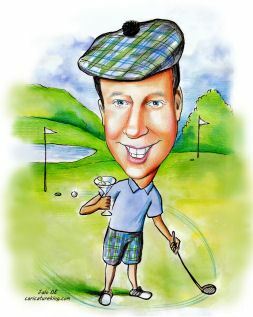 Browse our artists to see who's style you like best and then click the flag for the currency for your location. 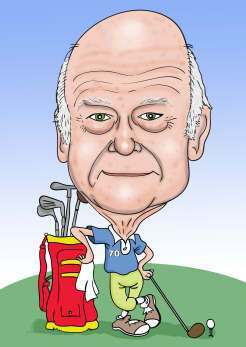 Complete the online order and email us the photos and instructions (email address is included in the order confirmation email).